Happy Design Wall Monday! My Garden Oasis has been on the design wall for several months now. 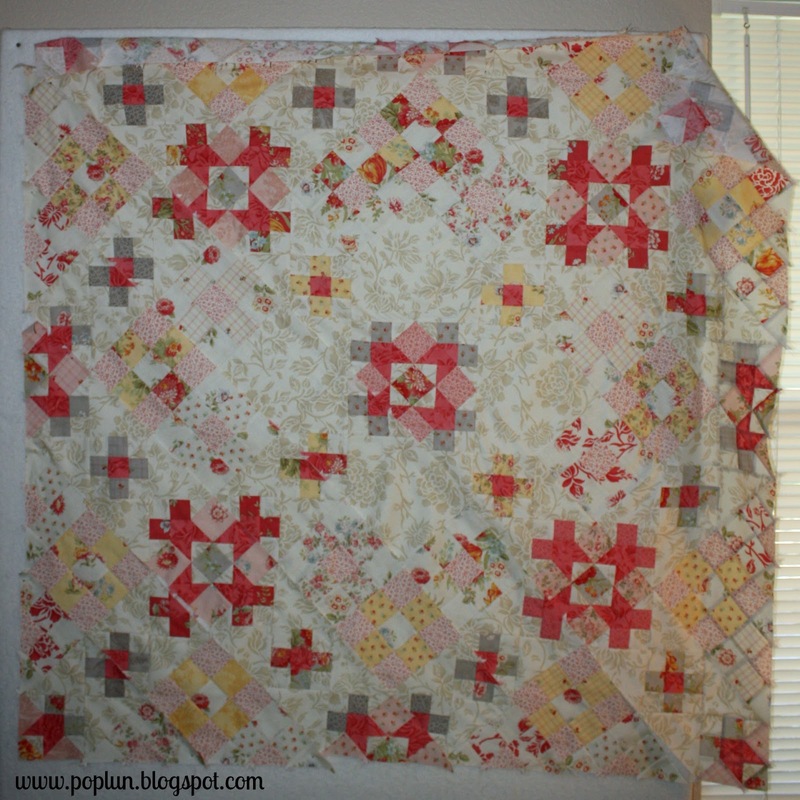 I love this quilt so much, but all of the little squares, angles, and bias pieces make it a bit of a beast to piece! ... especially since Little Man #2 is set to make his debut in no less than 3 months! I'm hoping to put the finishing touches on Little Man #1's baby quilt this week ... probably right in time for him to move into his new, big-boy room, decorated with the Super Mario characters, per Daddy's request! I've been thinking about doing a Mario quilt, too. We've lost our minds.